The SpaceX Dragon is still safely nestled in her lair at the International Space Station and won’t return to Earth until next month, but that doesn’t mean the fine folk at SpaceX won’t have anything to do until then. 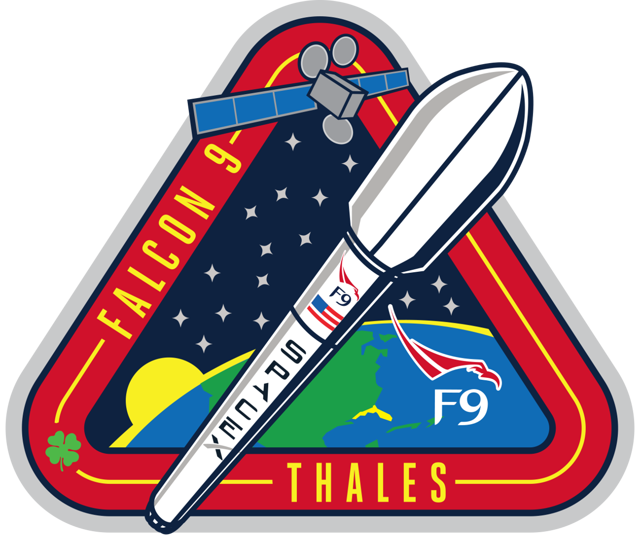 In fact, they’ll be launching another Falcon 9 rocket from Space Launch Complex 40 at Cape Canaveral Air Force Station Monday evening, April 27, carrying a communications satellite into orbit for Thales Alenia Space. The TurkmenÄlem52E/MonacoSat, Turkmenistan’s first national telecommunications satellite, is scheduled to launch aboard the Falcon 9 at approximately 6:14pm EDT on April 27. If all goes as planned (the current weather outlook stands at about 60%) and things don’t get “interesting,” the satellite will be deployed to geosynchronous transfer orbit a little over a half hour after the Falcon 9 breaks atmo. Due to the heavy payload on the mission there will be no attempt to recover the first stage of the booster rocket, which means SpaceX’s robot barge Just Read the Instructions will be sitting this one out. SpaceX CEO Elon Musk already indicated their next attempt at recovering the Falcon 9’s first stage will be in a couple of months. You’ll be able to watch SpaceX’s live coverage of Monday’s launch along with us and the rest of the ‘verse, starting at 5:55pm EDT at spacex.com. ← Falcon 9, Dragon and CRS-6: It Was a Great Day for a Launch!